H.R.Jayaram, a successful civil lawyer by profession who always have a fondness towards agriculture. Maybe, hailing from a humble traditional background taught him the importance of living a life close to mother nature. Mr Jayaram started toiling in soil at an age of 7, even after 3 decades the love and passion never left him. 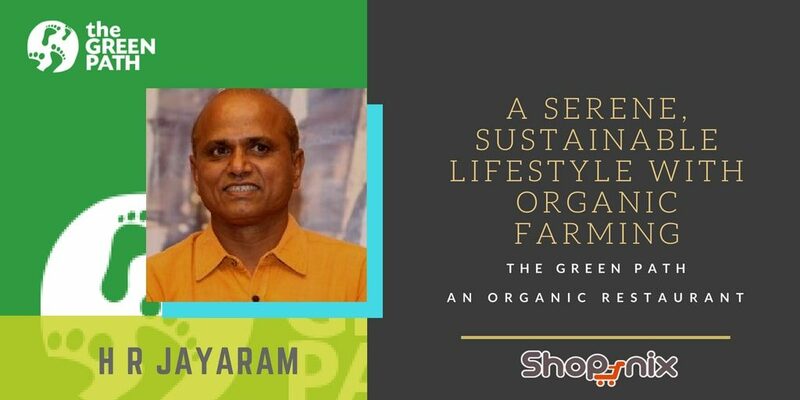 H.R.Jayaram is the founder of GreenPath (An Organic Food Restaurant in Bangalore) – established in 2007) a holistic Indian eco-concept. GreenPath is a sustainable living movement which aims to motivate and educate a society in understanding the importance of eco-friendly lifestyle. He is also the founder secretary of Jaivik Krishi Society in Bengaluru. The devoted agriculturist relentlessly works towards, to empower organic food movements, and to uplift the downtrodden. Nishant:- You had a successful career as a lawyer, you let go of that career, and decided to become an entrepreneur. What inspired you to make that decision. H R Jayaram:- As a toddler itself, I had quite an affinity towards agriculture. I hail from a prosaic family in Karnataka. If I recollect it right at an age of 6, I started toiling in the soil. Even in my school age, I dreamt of doing farming. My village is a picturesque, albeit the increasing ecological impact. The topography is covered with vegetation forest, mountains, etc. As a child itself I felt well connected to the nature. Being brought up in a panoramic atmosphere had a profound influence on me. Maybe it’s the nature that piqued me the most. As a child, I dreamt of setting up a farm. Need to accept the fact, priorities change when you grow up. When I was ready to venture out I moved to Bangalore. Then I decided to become a lawyer. I did become a successful lawyer. When I was successful enough to bag some money, I decided to buy a land in nelamangala (after all the zest towards agriculture didn’t wear off), rather buy a fancy bungalow and settle down in Bangalore. It was in 1998. Initially, when I bought the land it was so barren, I toiled it and later introduced a unique kind of farming “Organic”. Nishant:- What was the biggest challenge, When you say, you let go your lucrative career and jump into something unknown, start doing organic farming. H R Jayaram:- The initial days were a bit rough. It was a big challenge to adhere to the fact that you let go a lucrative job (acknowledging the fact that I lose a recurring income from my practice). It was a big transition, there I was, looking into the unknown. Trying everything in my power to promote organic farming. Needs to consider the fact that I lacked the experience/ knowledge in doing organic farming or to run a complete organic food restaurant. In the staging stage, I was quite flummoxed and perplexed. There were times I doubt myself, wondering was it the right decision. You know, I was losing my money from the practice and was struggling to make a profit out of organic farming. Finance:- Managing finance was quite a troublesome. You don’t know where to invest, how much to invest, and when to pivot your strategies. But, I believe the initial days are always coined with great struggles and minor trade-offs. Execution:- Execution is the core part that determines the success of a project. Employee commitment had played few roles in delays, and in executing few activities at hand. Commitment is a rare quality to find. Most people in India are driven by money, people just working for salaries. I am heartbroken, to see this prevail. It needs to be changed. We have to do justice, to what we do. There should be a sense of passion and commitment towards the work. It’s not just about drawing a monthly salary, there is more to it. The illiberal mindset is neither going to help them nor going to benefit the organization. Pessimistic attitude:- When trying to bring something of novelty into the market, most people are ready to raise their verdict. Even before they conceive the concept they are judgemental, and says it can’t be done. I have met quite a handful of people who have mentioned that it can’t be done. It’s a challenge to educate and empower predetermined mindset. Nishant:- How did you overcome the above-mentioned challenge? H R Jayaram:- Slowly we started to educate people. Once they realize the distinction, and realises the significance/ benefits in organic farming, that’s it. There are handful of employees that are staying with me from day one. They realized the importance and want to be a part of it. Also, my juniors (who practised with me in law) are there for the past 20-25 years. People are staying with me because you need to know how to reflect empathy, you should give love and respect to them. It’s of primal importance. Then there exists a strong relationship between you and the employee. Nishant:- Life in Bangalore seems so mechanical. The busy lifestyle and rapidly increasing urbanization come with compromises. The first option for a youngster is to compromise his health in the race to make money. What solution does GreenPath offer to put an end to this practice? H R Jayaram:- The whole vision of Greenpath (Organic Food Restaurant in Bangalore) is to create awareness. Creating awareness is not enough, people need to put it into practice. So, you need to make sure that people start to live and practice the sustainable organic lifestyle. How do you achieve this is a smart question. We read and learn a lot of things. With digital transformation lot of information is available online. What I realized is that the magic happens when you gave them an experience to cherish upon. If you say organic farming, you need to adhere to the best practices in organic farming. Take advice from established personalities, adopt proven practices, etc. To empower organic farming it’s better to have a dedicated offline presence where people can interact, engage, and experience the advantage. A restaurant or an offline store will be a good start. People need to feel the difference. We started 12 years back. What I am a trying to convey is that I believe in setting models, which someone can easily adapt. So, that the awareness of organic farming and the importance to live a sustainable life can be easily ferried. As a start, you should become the model, Be the change you want to see. Be the role model, and the people will follow your lifestyle. Nishant:- Do you believe creating an online presence and setting up an eCommerce store could increase the reach and cater to a wider audience? What is your future plan for Era organic? H R Jayaram:- The biggest challenge with an offline store is reachability. Nowadays people don’t want to roam around in search of staples and groceries, when everything they need is made available at their fingertip. For most people, it’s convenient to place an order online. I believe that’s why most online eCommerce stores are doing well in terms of sales. People at home want to see the products online and to place an order. With an establishment like Greenpath (Organic Food Restaurant in Bangalore), it becomes quite easier. We have a database of loyal customers who are ready to place an order the minute we go online. That’s the kind of trust they have for our establishment. With online, people from anywhere in Bangalore can place an order. For eg: Instead of people coming down from Jayanagar or Whitefield, they could jump online and can literally buy the products they want. (Note: Our eCommerce is still in the staging state). Nishant:- What markets are you planning to penetrate in the initial days? H R Jayaram:- Right now, we don’t want to define any particular area or to place any restrictions. We will aggressively plan to cater which ever market possible. I am getting inquiries from friends who are settled in the US and Europe, they are all demanding. The trouble is that we don’t know whether it’s possible to send it to foreign land and still conserve the freshness. Offline there are lots of challenges. Running a store is not easy. I am still planning to come up with few models, kind of a work in progress. Currently speaking, this store is running well (Greenpath- Malleswaram). Nishant:- What special food/recipes does Green Path offers? H R Jayaram:- Special food! We have created a real trend set. We have created few unique products. That’s why Greenpath is a preferred choice among our customers. For example; From millet, we have created many things, millet pizzas, millet ice cream, millet cakes, what not. So many things. Forget the usuals, millet roti, millet kichedie, millet Bisi Bele bath, and so on. We have also created snacks, sweets, pasta, and noodles from millets. We never set limits when comes to trying some new recipe. See, Pizza, Pasta, and all are not bad. The ingredients what they use is not good for health. We don’t use refined products. We only make use of natural raw products like millets, jaggery, fresh milk, fresh vegetables, etc. All these are very important in terms of your health, and great when it lingers with your taste buds. That’s one good reason the food we serve is tasty and healthy. Most of the foods we list fall into the category of forgotten foods. Bringing traditional value and taste among millennials. That’s why I name this organic restaurant, Greenpath – Forgotten Foods. That’s one of the key differentiators, I don’t think there is any hotel in India which uses the kind of organic ingredients what we use. That’s one strong point to make. Nishant:- Organic is Buzzword, With everyone labelling their products as organic, From a common man’s perspective how can I differentiate them, What tips do you suggest to separate the wheat from the chaff? H R Jayaram:- Now there are labelling systems in organic. So, you need to look for “Indian Organic Logo”. All the organic packed products will have an Indian Organic Logo Labeled on it. In the context of buying from a local shop or from a footpath seller, it becomes a bit complex. The option will be to connect with a good store, find people who are doing business in a genuine way. The taste and smell of processed vegetables will be different from that of organically grown vegetables. If we prob a bit deeper, there exists a simple question like How bananas and mangos are made to ripe. Why the smell differs, etc. That shows the difference from organic. Vegetables and fruits that are grown naturally differ when compared to those treated with chemicals. A seasoned consumer can easily make the difference. 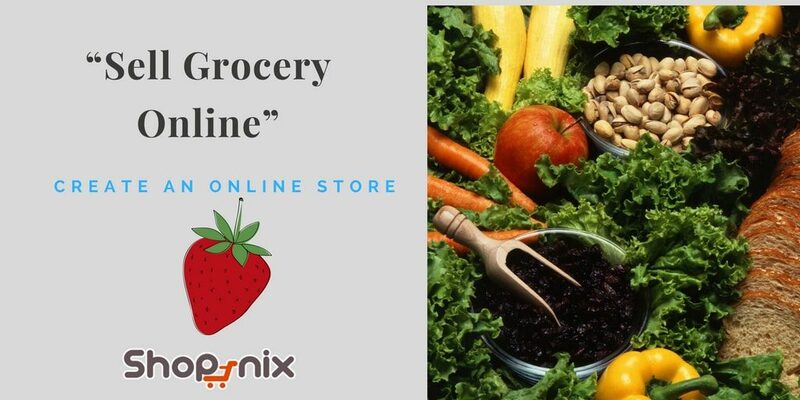 Create a Cool Online Grocery Store and Sell Online. Nishant:- The western culture has deeply influenced our lifestyle, Fast foods are more preferred among the younger generation? What chance does an organic farmer have when competing with fast food retails? Or is it that the target niche is finely defined that there is lesser competition? H R Jayaram:- We are working on sustainable living practices. For eg; whatever we are doing, we are conscious of what we have to do. And we are very conscious of our carbon footprint. In traditional lifestyle, the carbon footprint was very less. About western culture, we are all negatively thinking of western countries. Of Course, so many things are not good in western. But there are so many movements that are happening in favour of their environmental, and to conserve the food safety. Most foreign countries are far better in promoting/ practising traditional and sustainable methodologies when compared to India. And they are also doing organic farming in a big way. In India, we are coping one small part of the foreign life. Like, cafes life. In McDonald (America), they have put a board, that the food they are eating is likely to cause carcinogen. Because the food is bad itself. In most foreign countries only poor people go and eat in McDonalds, or shops, and somewhere else. Rich people they won’t put their health at risk, they will cook food. They eat the right food. In India what happens is, all rich people are going to McDonald’s, Subways, etc and all poor people are eating, ragi ball, ragi roti, or some good green vegetables. So, in India, the poor people are eating good food. People who are live a cafe life are putting their health at risk by eating processed food. One day they will be enlightened with the cold fact, that the food they were eating was not ideal for their health. Already a good proportion of the populus started to acknowledge the fact. Nishant:- How’s your agricultural strategy/ methodology different from others? H R Jayaram:- We practice food forest method. That means we plan to grow many things in one place. So the space can be effectively utilized. We grow vegetables, fruits, pulses, etc in the defined space. It’s called a multi-cropping system. We practice that extensively, and only make use of natural resources to aid to our advantage. We have synergized a methodology that’s based around effectively utilizing natural resources. Our eco-friendly practices include rainwater harvesting, sunlight management, and other mulching methods. We won’t bring anything from outside, except seeds. This is one great example of a sustainable practice, the carbon proof print is less, good for health and ideal for nature. It’s a very easy farming practice. Although the output is measured based on the level of commitment and hard work. Nishant:- What initiatives do you recommend, that the government of India should consider in prioritizing organic farming as the main choice for agriculture? H R Jayaram:- To be honest, the government can do far better. In the current scenario, the government is only allocating a trivial sum for organic farming. To be precise only a speck of what they are investing in chemical practices. The government needs to shift their mindset towards organic farming. The government can do anything, they have the power bestowed upon them by the people of India, they can regulate the number of chemical fertilizers used, and promote organic farming. The government has an obligation towards our country, towards the health of people, the quality of food served, the purity of soil, and above all a healthy generation and society. They have to really consider the organic way, support and nurture, educate and inspire healthy practices. Instead of giving huge subsidies to chemical practices, they need to promote organic farming. Also they need to make provisions to make sure that the government subsidies will reach the deserved people/ farmers. Nishant:- What chance does an organic farmer have when competing with fast food retails? H R Jayaram:- The real fact may shock you, not a single organic farmer has committed suicide. The biggest drawback of chemical farming is that, on the long run the cost goes up, and the production goes down. Down the line, the cost overruns the benefits. The people who practice chemical farming needs to procure everything from outside. Chemical fertilizers, insecticides, and so on goes the list, for everything the farmer needs to invest money. When you use chemical fertilizers the natural fertility of the soil goes down. In the long run, when the production goes down, he inquires big loss. When all these factors are taken into consideration, he is creating a problem for himself. In organic farming, he does everything opposite to this. Every element comes straight from nature. So, the fertility of the soil increases in the long run, making it more profitable to run a business. Organic is peace and love, you will be a different person. Every action and decision you make is well considered. You will start to respect the nature, protect the environment, give importance to vegetation, and so on. Not causing destruction, not tampering with the balance of nature. On the other hand, a chemical practitioner is doomed to cause ecological problems. Nishant:- As an entrepreneur, what suggestion, or advice do you have for the young generation? H R Jayaram:- First and the foremost is that you need to have a clear vision of what you want to achieve. The vision needs to be big. Think of starting small, gain experience, learn how it works, and then expand to a bigger scale. Put your heart in it, experience and appreciate things. Be a student, do a thorough research and adopt the best practices, and identify how they are implemented in a cost-effective way. In most cases, it’s not about pooling huge sums and investing in areas that you are not familiar with. Whatever investment you make it needs to be well calculated and can be justified later. Don’t try to borrow money and make huge investments in the initial days. The interest rate will be high and it will create stress, giving room for doubts and confusions. It may kill the business. Business should create a legacy. 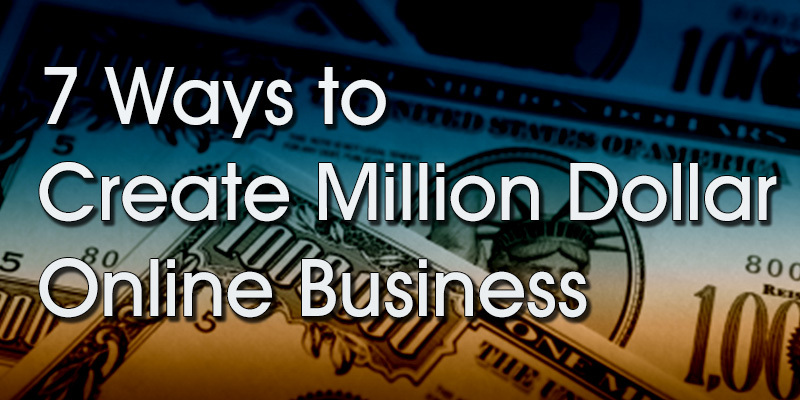 It’s not just about making money, money is required, it’s an essential part of the business. But if money is your sole focus then the probability that you may end up failing is high. What value is your business bringing to the market? It’s an important question. When your products and services are adding value to the market then it gets people’s attention, and when people interacts with your business you could reap benefit out of it.